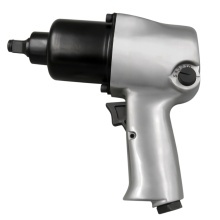 Professional air impact wrench kit for vehicle maintenance. High quality material with precision processing, which has stable and durable performance. Lightweighted and user-friendly design, easy to operate. Has strong torque output, high efficiency, saving time and effortless. Apply in bolts dismounting of motorcycle, small car tire, mechanical equipment, etc.